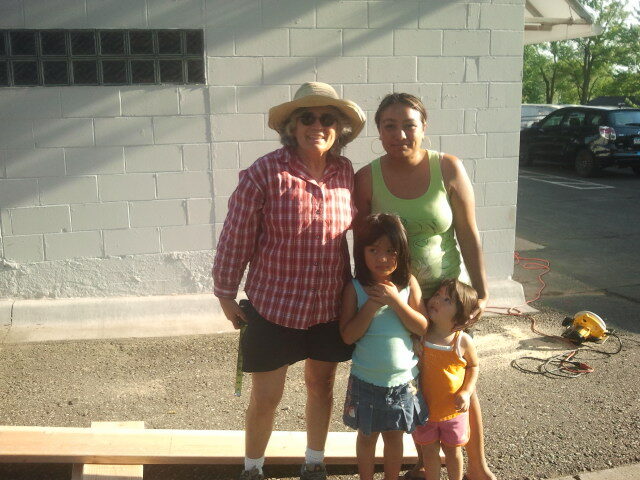 Our Community Food Projects works with community members in the City of Landfall to build garden boxes for homes. In addition to supplying the lumber and building materials, OCFP also provids the seeds, plants, and compost necessary to begin the gardens. Most of the garden boxes are set up on small patches of land between the mobile homes. There are more than 40 gardens that have been started in Landfall thanks to OCFP and the community coming together each year. In 2013 six children’s boxes were built with the help of the Landfall Boy Scouts. Each year the children in the FamilyMeans after school and summer program plant vegetables the kids take come or cook and eat at the youth center.